In fast changing markets, customers worldwide rely on Thales. Thales is a business where brilliant people from all over the world come together to share ideas and inspire each other. In aerospace, transportation, defence, security and space, our achitects design innovatove solutions that make our tomorrow's possible. We’re inventing the future, right here, right now, at Thales. We design the critical security solutions of tomorrow by combining the curiosity to explore, the intelligence to question and the vision to create. Together we solve complicated problems by combining our experience in the market with our leading research and development capabilities. Our Canberra Office is located in the leafy suburb of Deakin, approximately 4km’s from the Canberra CBD and approximately 12 km’s from the Airport. With approximately 180 employees, our Deakin site is primarily home to our Secure Communications and Information Systems business. The office is located in the Equinox Business Park which provides a mix of retail accommodation including a cafe, bakery and gym. Free onsite and underground parking is also available to employees. The branding ambassador of our Canberra Deakin office, the first smile for our visitors, the ultimate friend for our teams. Managing the front office desk activities and receiving visitors in the reception area. Ensuring that visitor and employee security & HSE requirements are met on arrival and departure. 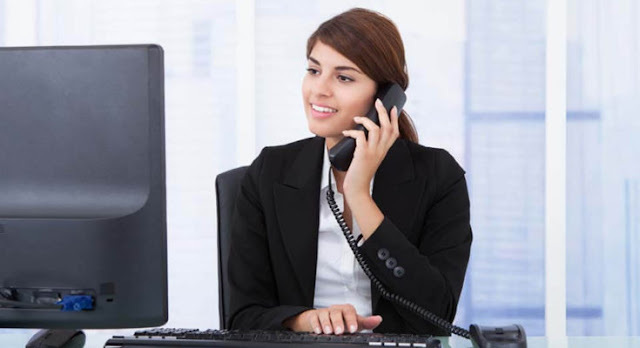 Taking incoming telephone calls, determining caller needs and either satisfying caller requirements or referring callers to the appropriate staff member. Accurately recording all messages and passing them to the appropriate staff member in the shortest time possible. Prior experience working in a business environment ideally within a customer facing administrative role. Confidence and maturity of judgement to represent the company with customers and visitors to the Canberra office. A high level of interpersonal, organisational and communication skills and a high level of discretion. Sound working knowledge of the Microsoft Office suite of software products with a particular emphasis on Word, Excel and Outlook and PowerPoint skills. Willingness to take responsibility for a package of work and to ensure the work is completed within agreed timeframes. The position is dependent on the candidate eligibility to obtain a Defence Security Clearance. The suitable candidate needs to be ITARS cleared; therefore Thales needs to know if you hold any passport other than Australian, or have dual citizenship. You will also need to successfully clear a pre-employment medical and police check. Thales can offer you a variety of interesting and challenging work. We support our employees to develop professionally and succeed. We are a growing global organisation so hiring from within is our first priority, ensuring all our employees are given every opportunity to develop and build their career. We offer a variety of initiatives that support your wellbeing such as flexible work practices, salary sacrifice, novated leasing and purchased leave. Thales is committed to providing an inclusive workplace where the very best talent in Australia chooses to work, we encourage applicants from diverse backgrounds to apply. At Thales we provide CAREERS and not only jobs. With Thales employing 65,000 employees in 56 countries our mobility policy enables thousands of employees each year to develop their careers at home and abroad, in their existing areas of expertise or by branching out into new fields. Together we believe that embracing flexibility is a smarter way of working. Great journeys start here.